CANCUN, Mexico – The Eastern Kentucky University men’s basketball team will face Idaho State on Tuesday in the 2016 Cancun Challenge at the Hard Rock Hotel Riviera Maya. Tip is scheduled for 3:00 p.m. ET. – Eastern knocked down seven of its first nine three-point attempts and jumped out to a 27-12 lead at Texas Tech on Saturday; however, the Red Raiders pulled away late for a 90-71 victory. – After scoring a season-low three points at Auburn on Nov. 17, freshman guard Asante Gist bounced back in big way two days later at Texas Tech, scoring a game high-21 points and dishing out three assists. He committed only one turnover. – Junior college transfer Zach Charles – a native of Mesquite, Texas – made a triumphant return to his home state on Nov. 19. Charles scored a season-best 13 points and grabbed seven rebounds against Texas Tech in Lubbock. He also knocked down his first career three-pointer. – With senior Isaac McGlone banged up, junior guard Dillon Avare made his first career start on Nov. 19 at Texas Tech. The transfer from Louisville played a career-high 32 minutes and scored three points. 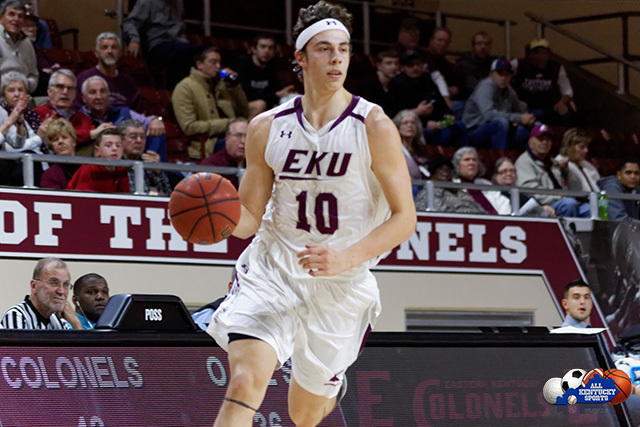 – EKU leads the OVC and ranks 14th in the country in free throw percentage (80.3%). Idaho State ranks last in the country in the same category (50.0%). – Idaho State fell to 0-3 on the season following an 85-51 loss at Utah State on Saturday. – Ethan Telfair leads the Bengals at 21.3 points-per-game this season. – This is the first-ever matchup between EKU and Idaho State. – EKU is 3-2 all-time against current Big Sky Conference schools, including wins over Southern Utah in each of the past two seasons. EKU will play either Georgia State or New Jersey Institute of Technology (NJIT) on Wednesday depending on the outcome of Tuesday’s games. The game will either be played at 12:30 p.m. or 3:00 p.m.